Before starting piano lessons it is a good idea to take a few things into account. First, you will need to determine if you or your child will have the time and dedication necessary to make the most of your lessons. For lessons to be productive, you will need to practice at least five or six times per week. How much you practice (at least initially), is not quite as vital as having daily contact with the instrument. There is also the time needed to travel to and from your instructor’s studio if the lessons are held at their location rather than in your home. 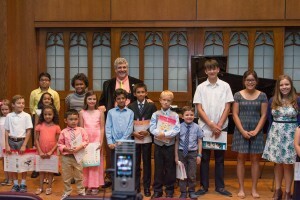 Many piano instructors like to include their students in recitals and other events, so time for this will also need to be set aside. Concerts and recitals aren’t required, but they are an integral part of becoming a well-rounded musician. You should find out whether this is required when you interview and choose your instructor. Another consideration is the type of instrument you’ll be using for your lessons and practice. It’s possible to learn piano on an electronic keyboard, but most instructors prefer acoustic pianos and will actively encourage and sometimes require you to have one. If lessons take place in your home then it is your responsibility to make sure that the piano is working and in tune. It is also necessary to provide the instructor and the student an area that is free from distractions. Observing your child’s lessons is a great idea, but it is best not to interfere in or interrupt the lesson unless it is absolutely necessary to do so. Your child will need to form bonds with her or his instructor that allow that instructor a measure of authority while opening doors for your child’s curiosity and freedom to ask. One of the most important things to understand about choosing a piano instructor is that no instructor is “perfect” for all students. One piano instructor might have great credentials and perform wonders with your neighbor’s child, but he or she might not mix with you or your child at all. Some of it has to do with personality. You should find an instructor who understands the student’s personality and can work well with it. It’s also beneficial when the student agrees well with the instructor’s personality, although with some children this can be difficult to achieve. Just use your best judgment as a parent. In general, it is always best to conduct a personal interview with a prospective piano instructor. Instructors will usually offer a mini-lesson during this interview so that they can accurately gauge the student’s readiness. This will also allow the student and the instructor to get a feel for each other’s personalities. Although it can be a little time-consuming, it is a good idea to interview a few instructors before making a decision. Any professional instructor will understand this. So, you should be wary if it seems that one is pressuring you into retaining him or her without looking at your options fully. Before retaining services, please make certain you check on the background of the instructor. Does the instructor sue parents who decide to stop lessons. Does (s)he have a record of domestic abuse? All of these questions and more are essential. Following is a list of questions and concerns that should be discussed with a prospective instructor. An initial interview over the phone will suffice for discussing most of these issues. What is the instructor’s teaching philosophy? Specifically, what are the most important aspects when learning the piano (playing for fun, a rigid classical regimen, preparing for performances, understanding music theory, etc.)? You need to make sure that the instructor’s goals match yours. Moreover, the best instructors can, to a certain degree at least, adapt to the needs of a particular student, realizing, for instance, that not every student will end up on the stage of Carnegie Hall. If the instructor does not have a clear idea of what his or her philosophy is, that may be an indication of the fact that they may not have given the subject of teaching much thought or, even worse that they do not even know why they are teaching. What are the instructor’s expectations of the student? You need to know how much time the instructor wants committed to lessons and practice. It’s also important to understand whether or not recitals and competitions will be part of the program. What are the instructor’s credentials? It isn’t necessary for the instructor to possess degrees in music, but it is an indication of professionalism and a thorough knowledge of the subject matter. Be aware that there are many different degrees in the music field. Some are for piano pedagogy (teaching theory) or piano performance, while some are simply general music degrees. One should also find out the instructor’s level of experience. This includes not only their experience with playing the piano, but also the amount of time they have spent actually instructing students. Don’t hold lack of experience against someone, as they might be new to the field yet very qualified but, nonetheless, experience is an irreplaceable asset. How does your prospective instructor keep up with new techniques and materials? Does he or she attend workshops and conventions? Does he or she belong to at least some of the local and national musical organizations? Membership in those organizations is by no means inexpensive to the instructor, but it is a hallmark of professionalism and a desire to advance and maintain the knowledge that was acquired during formal training. Is the instructor particular about teaching only certain types of music? Make sure the student’s interest in musical styles won’t be suppressed. The best instructors are open about a students’ interests in particular styles and can help direct them toward their goal. Be aware that a large majority of instructors focus initially on classical music. This doesn’t mean, however, that it is the only style an instructor will or should encourage. 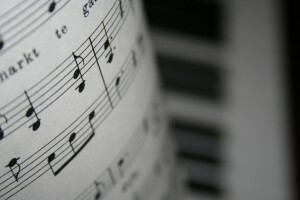 Classical music generally offers the best approach to understanding the fundamentals of music theory and the development of a vast technique, which can then be applied to any style of piano. Avoid the tendency to simply learn how to play particular “piano pieces” or “songs”, as this won’t really instill musicianship or an understanding of music in the student. What will be the cost of the piano lessons? Most piano instructors offer lessons for a range of time periods, from 30 minutes to 90 minutes, depending on the student’s needs. Prices vary widely depending on geographic location, the instructor’s experience and education, and the extent of services offered. What lesson materials are needed? Lesson books are usually the responsibility of the student. So, you will need to determine which materials are needed and how much they will cost. However, some instructors will initially loan lesson materials and sheet music to the student. What piano method does the instructor use? There are many piano methods available. Many instructors adhere to only one, but some pull the best parts from numerous methods depending on students’ needs. Some of the more popular methods are Alfred, Suzuki, Thompson, Piano Adventures, and Bastien. All have their strengths and weaknesses, but it is a good idea to ask the instructor why they favor one method over others. Instructors often use computer or Internet instructional materials as well, so it’s a good idea to find out if these require extra time and money. What kind of piano is required? Does the instructor require an acoustic piano for practice and lessons? If your lessons are out of a studio then the instructor’s piano will be used. However, if you only have a digital keyboard for practicing at home, then the instructor should be aware of this. Most lean towards learning on an acoustic piano because keyboards are limited in many ways. After interviewing numerous instructors and visiting their studios or homes (if that is where they teach) you’ll have to decide which piano instructor is best for you. Choosing a piano instructor is really a subjective decision. Only you know what your goals and requirements are and only you can prioritize them. However, once you make a short list of the instructors who meet these requirements the final decision usually comes down to personality. Which piano instructor’s personality and teaching style is most compatible with the student? When you are done choosing, give yourself a pat on the back, for you have made a very important and beneficial step in your life or the life a loved one. 3. One who charges well below the local standard. 1. The instructor is knowledgeable about the materials he or she uses. 3. Approaches teaching in a holistic way, including not only piano, but music theory, history, appreciation, etc. 4. Seems personable and enjoys working with all age groups. make a life performing, but out of a love for sharing his or her knowledge with others.